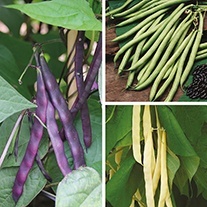 French Bean Seed delivered direct by D.T.Brown seeds. 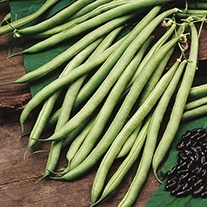 The French bean (Phaseolus vulgaris) has several other names, such as the green, Kenyan, common, kidney, flageolet and haricot bean. 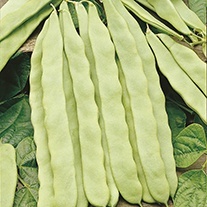 They have been cultivated for 7,000 years, first by the Indian tribes in the Tehuacan Valley in Mexico, and in Peru. Christopher Columbus brought them back to Europe from his second voyage to the ‘New World’ in 1493. 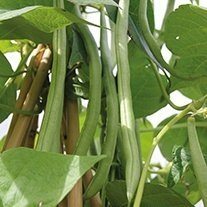 French beans are generally classified as Dwarf (bush varieties up to about 45cm tall) or Climbing which need support and will grow up to 2 metres tall. 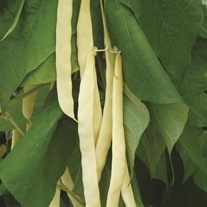 The seeds and plants of both varieties are frost-tender so do not sow too early. 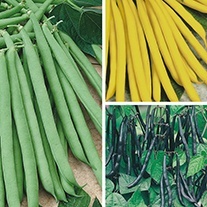 Both types enjoy very rich, well-drained soil and a sheltered sunny position. 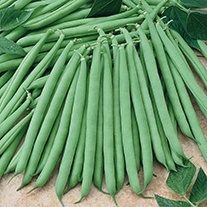 They don’t like heavy clay soil and need a neutral pH to thrive. 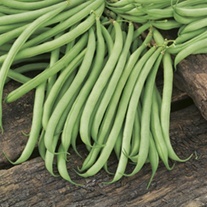 In the autumn, dig-in as much compost or well-rotted manure (such as Orgro) as possible and some lime, if your soil is very acidic. 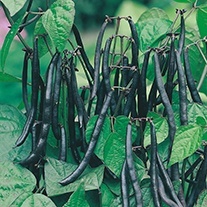 A few weeks before sowing, add a scattering of general purpose fertiliser to the soil and set-up canes if you’re growing climbing varieties. 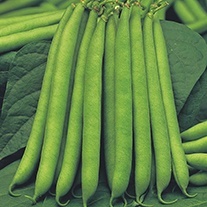 If conditions are favourable then you can sow direct into the soil from mid-May, however it’s best to wait until the risk of frost has passed. 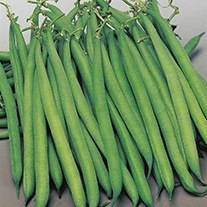 Early sowings can be done in Rootrainers, kept undercover and planted out from late-May (after hardening off). 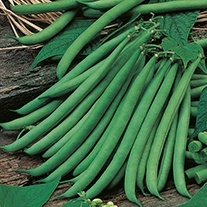 Sow seed outdoors to a depth of 5cm/2in. and space them at 10cm/5in. intervals in rows 45cm/1½ft. 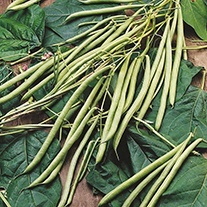 apart for Dwarf Beans, for Climbing varieties sow to the same depth and allow 2 seeds per cane. 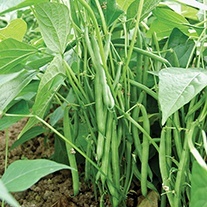 Support Dwarf varieties with short twigs or netting and keep young plants protected from slugs. 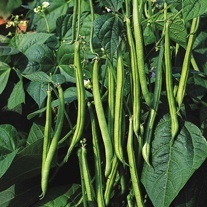 Water plants liberally and regularly, especially during dry spells and harvest the pods when they are about 10cm/4in long.